Schools at any level from pre-school to secondary can apply for funding to carry out ‘mobility projects’. This means sending staff members on a teaching assignment or dedicated period of training in another participating country in Europe. Both teaching and non-teaching staff who are involved in school education (such as school managers, inspectors or counsellors) can take part. Projects must have a minimum of two participating organisations (at least one sending and one receiving) from different countries. However, receiving organisations do not have to be named at the time of application. Projects can be carried out over one year to two years. Staff can spend from two days to two months–excluding travel time–on their teaching assignment or on training. The time spent abroad can be staggered throughout the project, allowing for many different staff members to take part in the project. Teaching in a partner school. Participating in structured courses or training courses abroad, including language courses. Undertaking job shadowing or observation in a partner school or other relevant school education organisation. The School Education Gateway is a European Commission supported site that has details of courses and opportunities for mobility. The teaching assignment or training period must respond clearly to the organisation’s staff development needs. It must also be part of a wider European Development Plan in the organisation. Funding is available for travel to and from the host country; to cover the participants’ cost of living while abroad; and to support the sending organisation with costs directly linked to coordinating the project. Funding for course fees and for special needs is available, if this is justified in the application form. Funding is calculated on a per participant basis and amounts vary depending on the receiving country involved. For full funding details, see ‘What are the funding rules?’ in the ‘Mobility project for school education staff’ section of the Erasmus+ Programme Guide. School education staff gain first-hand knowledge of other European education systems, hone their professional skills and ensure their own continuous professional development. Schools can identify target areas of interest, such as particular subjects or skill sets, and establish a school-wide plan for training. Schools increase their capacity to engage at international level, and are encouraged to use their project experience to innovate and improve their own practices. The increased staff development opportunities can also increase the school’s appeal for learners and their families. Strategic Partnerships funding allows schools to cooperate with each other or with outside organisations to run projects. These should directly focus on issues affecting school education, such as teaching standards, citizenship, improvement of basic or subject-specific skills, or the development of a new tool or system to improve school education. Projects are expected to develop, transfer and/or implement innovative practices. Project results must be shared with the wider community to encourage use of these methods, and make an impact beyond the organisations directly involved. There are two project types: School Exchange Partnerships and School Education Partnerships. Most types of Strategic Partnership need a minimum of three organisations from three different programme countries to be involved. For partnerships that involve a school collaborating directly with another school, or a school authority collaborating directly with another school authority, a minimum of two organisations from two different programme counties must be involved. There is no maximum number of partners, but funding for managing the project is capped at a level equivalent to ten organisations. Projects can last two to three years. NB: Irish schools and school authorities can participate as either ‘lead’ or ‘partner’ organisations. Only the lead organisation of a partnership applies for funding. Training, teaching and learning activities, under certain conditions. Register on the School Education Gateway to search for partnership opportunities. For full details of eligibility criteria and possible project activities, please see the ‘Strategic Partnerships in the field of education, training and youth’ section of the Erasmus+ Programme Guide. The maximum funding available is €300,000 for two-year projects or €450,000 for three-year projects. All projects can receive funding for project management and implementation; apart from these, eligible expenses depend on the types of activities in the project. See t ‘What are the funding rules?’ in the ‘Strategic Partnerships in the field of education, training and youth’ section of the Erasmus+ Programme Guide for detail. Strategic Partnerships help schools to better address the needs of their staff, learners and stakeholders. They foster the development of more attractive education programmes, and promote new approaches to current challenges. Participation also contributes to the professional development and motivation of the staff group and enables each school to operate successfully in a wider European arena. 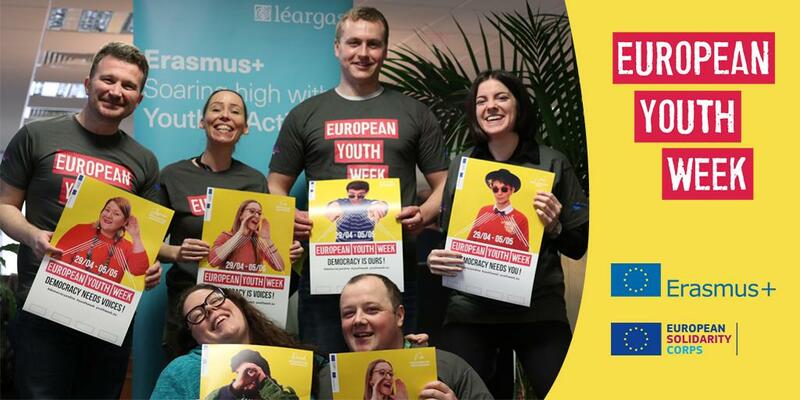 Erasmus+ is a European programme that funds Irish schools from pre-school to upper secondary level to carry out a wide range of projects involving staff, learners and the wider school community. Schools can send their staff to other participating countries for teaching assignments or training (under Key Action 1), or cooperate with other organisations to meet common challenges in innovative ways (under Key Action 2). Click the ‘By Key Action’ tab at the top of this page to find out more about each type of project. You can also read our Practical Guide for School Leaders. Erasmus+ is intended to benefit School Education at the organisational, local and national levels. So while individual staff and learners can take part in the projects, it is the organisation that applies for funding rather than the individual. To see the project lifecycle and how to apply, click ‘How to’. To find courses, mobility opportunities for training and job shadowing, or to look for partners, register on the European Commission’s School Education Gateway.